Apple’s Lightning to 30-pin adapter, the connector that ensures all of your old iPhone and iPod accessories will work with your new iPhone 5, has now started shipping, more than three weeks after the smartphone launched. 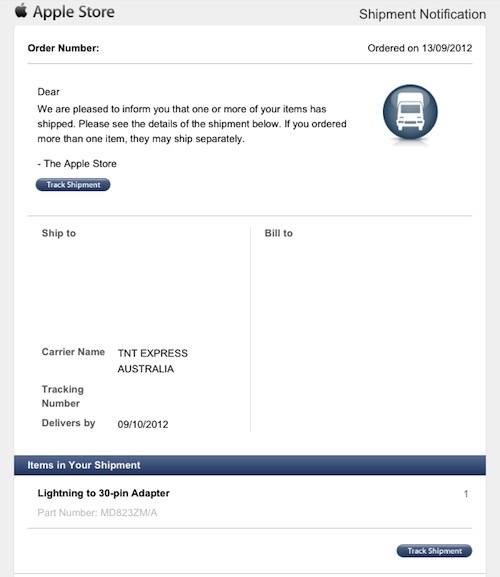 Macrumors received word from some customers in Australia, who have received a shipping notification from Apple detailing the delivery of the new adapter. Delivery notices indicate that the accessory will hit doorsteps by October 9. Following the launch of the iPhone 5, Apple immediately notified website customers that the Lightning to 30-pin adapter would begin shipping in October. In fact, the website still shows the same generic dispatch time, suggesting the company will first honor all preorders before amending delivery times for new orders. At one point, it appeared that Apple would include a free Lightning to 30-pin adaptor with iPhone 5 orders. 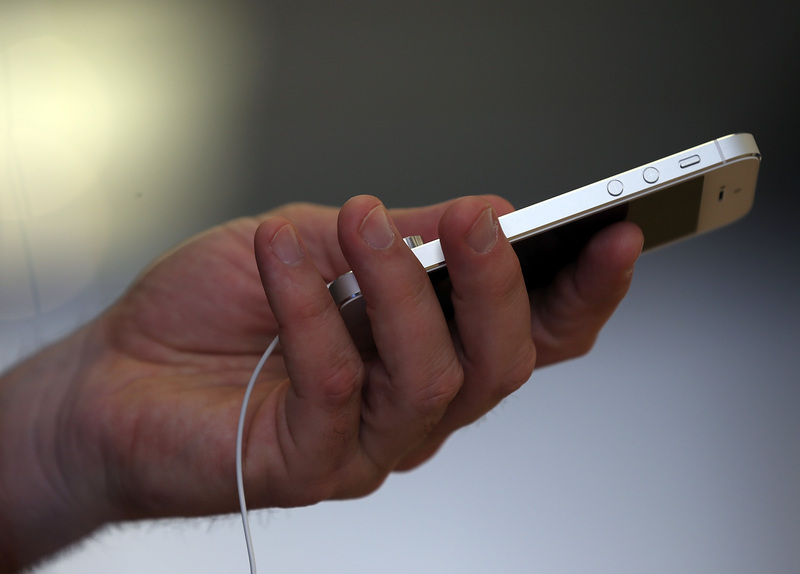 However, the company was found to have incorrectly stated the adaptor shipped alongside the iPhone 5, later changing the wording on its store to amend the error.